All tents are brand new. All tents are shipped via UPS. Local delivery and installation is available in the Los Angeles area only. 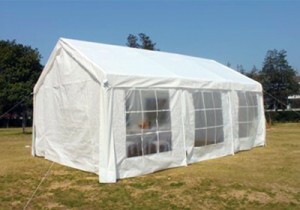 Additional tent sizes may be available by special order only. Please contact us with your requirements and availability.